Oakland Park is a growing community known for its increase of business and tourism. While the city works to expand its own culture, it’s essential for companies in the area to protect their property and assets. Whether you own a commercial, retail, or small business in Oakland Park, it’s vital to install a security system. While traditional security systems merely notify you of a break-in, newer systems offer much more. 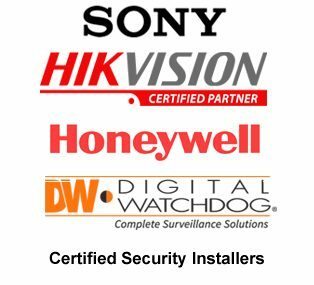 The Oakland Park security system installers at Hi-Tech Security provide advanced technology to give you more control over your security system and protect your business. Don’t hesitate to call. Secure your business and contact Hi-Tech Security today. Our state-of-the-art security systems can give you more control and protection than outdated systems. Rather than just notifying you of a break-in at your office, our technology allows you to view the site in real-time, automatically contact authorities, and save video surveillance as evidence. Our systems can also save your business in the face of a disaster such as a fire or a flood. If something like this should occur on your property, our systems detect the issue and notify you and the authorities as soon as possible. This technology can further protect your property and assets to reduce potential damage. Businesses throughout Oakland Park use closed-circuit television (CCTV) cameras to view, monitor, and control their business from virtually anywhere. These systems operate at a base quality of 1080P and can integrate with Transfer Video Interface (TVI) and Internet Protocol (IP). View and store your footage using either Digital Video Recording (DVR) or Network Video Recording (NVR). Your smartphone, laptop, or tablet will allow you to search, monitor, and control your security system from virtually anywhere with the click of a button. The Oakland Park expert installers at Hi-Tech Security can help you choose the best model for your business and educate you on its use. Our knowledge of security systems and installation procedures is unmatched. We offer only the latest and greatest technology for our customers to give them peace of mind and protect them as best as possible. We have served South Florida businesses for over 14 years with incredible results, and are eager to help you today. All of our installers are low-voltage contractors and abide by the standards of the National Electric Code (NEC). We also offer lifetime technical support on all installations. At Hi-Tech Security we understand how much your business means to you, and we can help you protect it at all costs. Contact our Oakland Park installers at (954) 394-2292 to get your free installation quote today.